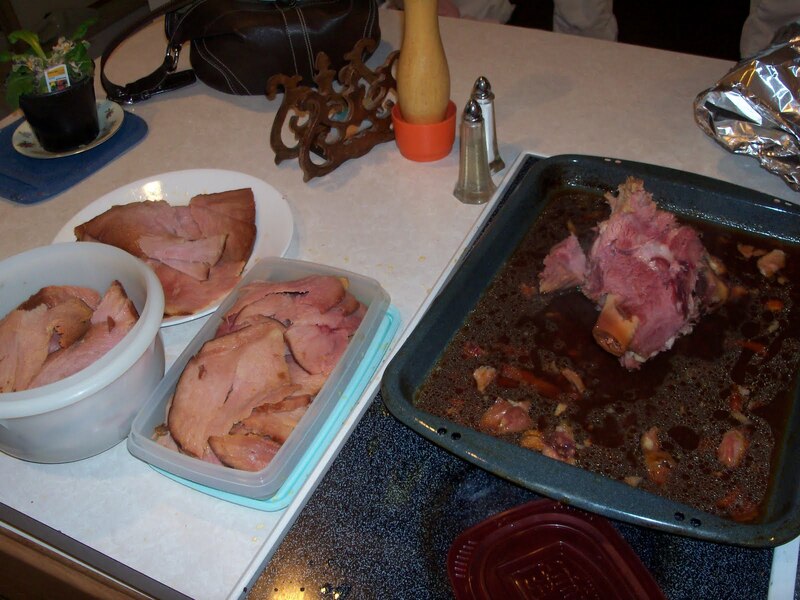 When I cook a ham I want to be sure to utilize every bit of the meat. As I cut the leftovers off the bone I try to keep in mind what I will be using the meat for. This time I planned on slices for sandwiches, thicker slices to be cubed for mac'n'cheese pie, and bits & hunks to be used in omelets and scrambled eggs. I made sure to leave meat on the bone, too, for soup.